Businesses today are increasingly adopting a customer centric approach with their core focus on engaging the customer and delivering enhanced value continually to the customer based on the demand patterns as customers continue to consume products and services at a rapid rate. A systematic process has to be set in place to carry out the aforementioned operations. With various trending technologies, there has been an introduction of better standardization of products and services, personalization in marketing services that has led to acquiring new customers and better customer retention. There has been a paradigm shift from just rolling out products and services to specifically designing customer interactions to meet customer expectations. However, trying to integrate these multiple customer facing applications in order to make the experience relevant or personalized is proving to be a daunting task. Additionally, most organizations utilize disparate solution providers for their customer facing applications and then yet another solution provider for their analytics and data management infrastructure. Organizations are in dire need of solutions and business strategies that can be harnessed to prevent customer churn and seamlessly integrate multiple applications that can otherwise take an expensive toll on a business. Having carved a niche for itself in this domain is AmberLeaf, headquartered in Illinois, with its novel and innovative AXaaS (AmberLeaf Experience as a Service) platform that acts as a subscription based model that ceaselessly works at integrating customer facing applications. A unique and innovative solution, the platform leverages off the shelf software from leading customer experience vendors including RedPoint, salesforce.com, Profisee, IBM, Oracle, and others. AXaas is focused on managing the client’s sales, marketing, customer service, and information applications where it optimizes every customer’s interactions and meets customer expectations. The technology is used to create personalized offers, show dynamic and personalized content, provide a consistent omni-channel service experience, and make the entire purchase a seamless process. The platform, once deployed, permits one to review the data and predict quickly to the changing customer dynamics, forecast and plan product needs, improve customer service levels, effectively manage work force demands and efficiently drive product and service decisions based on analysis that customers are not communicating. The platform is engineered to build the business around the data, where the team is able to create a centralized decision engine to optimize the experience, offer, or product recommendation on a customer by customer basis. The AXaaS (AmberLeaf Experience as a Service) builds on traditional operational related reporting (average handle time, CSAT, customer effort, click rates, marketing ROI and so on) and moves towards the goal to bring customer expectations directly to daily business decisions. He emphasises that AmberLeaf is not a software company. The team is currently working on bringing the best cloud-based platforms to its large client base including salesforce.com, Oracle, BPMOnline, RedPoint, Marketo and other well renowned organizations. Simultaneously, the company is also assisting clients to integrate a myriad of cloud-based platforms together in order to have a cohesive environment since many of the clients are struggling with the magnitude of cloud-based application that they have purchased. 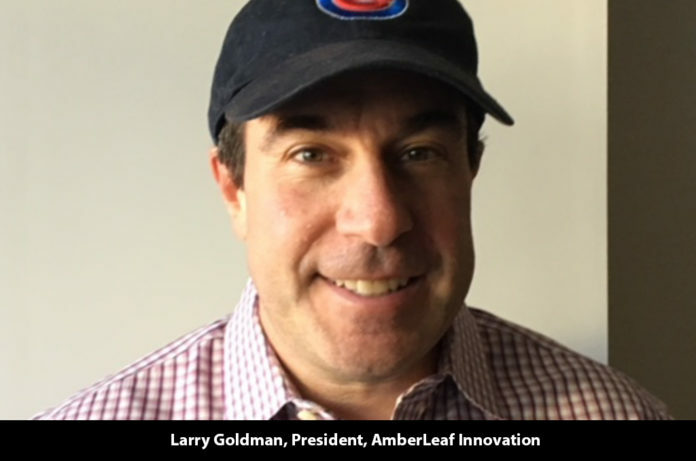 With a team of devoted and skilled experts, AmberLeaf facilitates its customers with its portfolio of services such as sales force automation implementations, customer service automation implementations, marketing automation implementations and data management, customer master, and data governance implementations. Yet another of the company’s core offerings is its Customer Experience Roadmap which helps clients create a vision for customer experience that will give them that much needed competitive advantage. Having serviced the market for close to 15 years, the company caters to a spectrum of industry verticals such as media and entertainment, financial institutions, retail, sports marketing, consumer packaged goods, travel and hospitality and telecommunications. With the aim to continually deliver value added services, AmberLeaf will continue to assist its clients to deal with complex customer interactions in real-time over kiosks, web, social, and mobile devices. The company has completely geared itself with the advancing technologies and with the increased interest in artificial intelligence and machine learning there will be an increase in the accuracy and scalability of personalized offers, products, and services; all these future plans for the company will be in tandem with working with clients to achieve the perfect harmony of high levels of customer experience and customer expectations. Could you benefit from AR or VR capabilities on your website? The CEO Views aims at providing the perfect platform for entrepreneurs to connect with the peers of their industry. Our passion and thirst for knowledge in the field of business and technology have been the dominant reason we have emerged and continue to thrive in the marketplace.